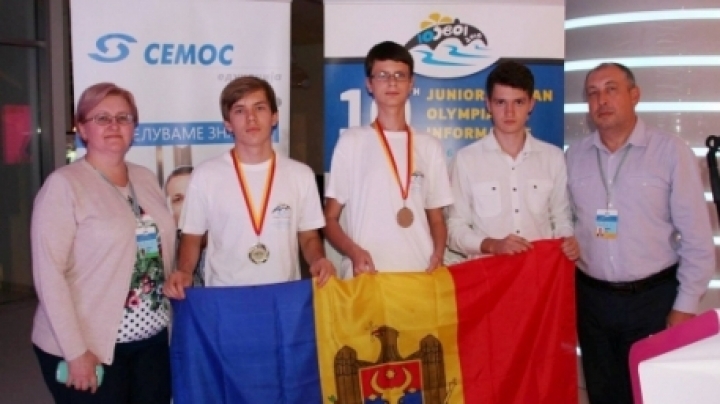 The Olympic team of Moldova won a gold medal and one silver at the Junior Balkan Olympiad in Informatics 10th Edition. The event took place from September 17th to 22nd, 2016 in Skopje, Macedonia. Young people who were able to achieve these remarkable results are Gabriel Cojocaru, winning the gold medal, and Alexandru Rudi, winner of silver medal, both students in Xth class at "Horizon" high school in Durlesti town, Chisinau district. According to the Ministry of Education, the competition was attended by 43 students from 10 countries, including Bulgaria, Cyprus, Greece, Macedonia, Romania, Slovenia, Turkmenistan etc. Participants said that in addition to relevant experience obtained, they established friendships with people from Eastern Europe, with the same programming passion. What position is Moldova on Olympic Games Ranking?